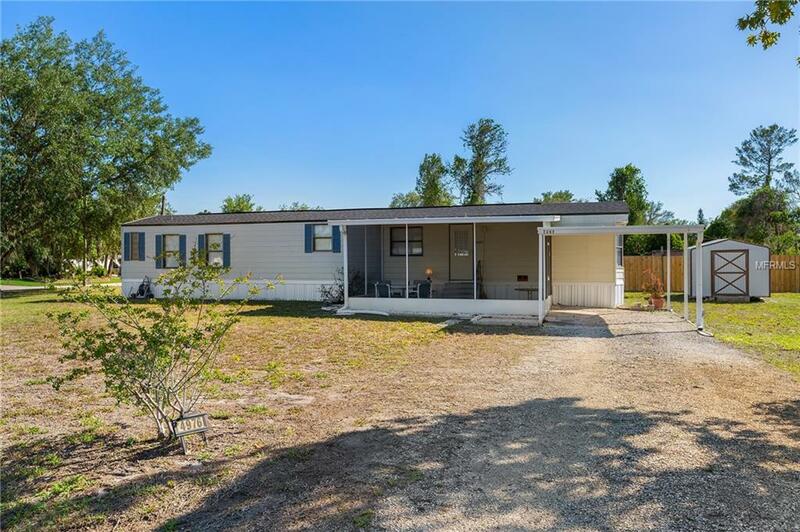 Well maintained manufactured home on corner lot located off of Narcoosee Rd. In this immaculate 2 bed, 2 bathroom home there's just enough space and privacy to live peacefully. Enjoy country living close to Lake Nona, VA hospital, restaurants and Orlando International Airport. The lot is big enough to park your RV/boat and/or put up a play area. NO HOA. Sprinkler is on well, drinking is city water. Gas range from a propane tank. New roof in 2016 and A/C was replaced within 4 years. Buyer to verify all room sizes and square footage .